Founded in 1918 by Suntory's first master distiller, Nikka has risen to become Japan's second largest distiller, producing a wide range of single malts as well as their impressive blended whisky range. A fascinating whisky made with Yoichi, Miyagikyo and some 'grain' whisky that isn't really grain – it's malt whisky made in a Coffey still at Miyagikyo! 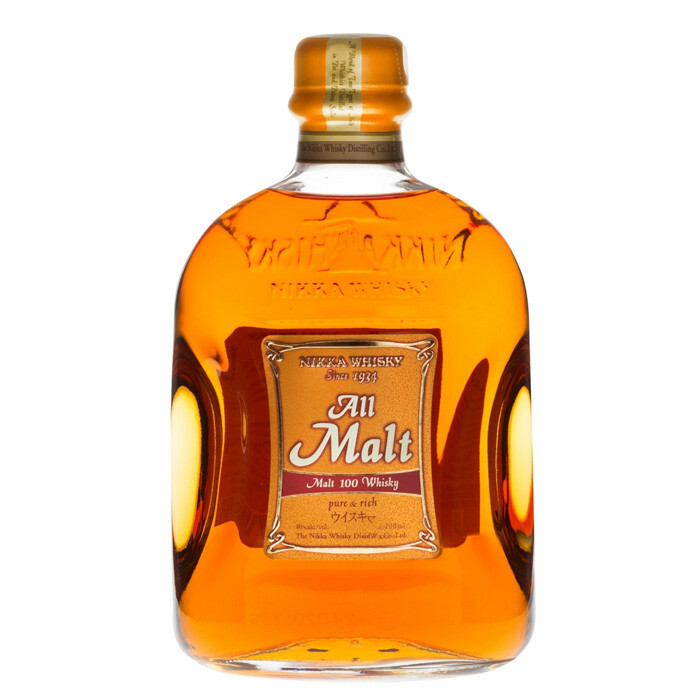 This is really a vatted malt, or 'blended malt whisky', as we call it nowadays.